Please choose No. of Persons and your Arrival date. As soon as you arrive in Ljubljana you will be greeted by our friendly guide who will be waiting for you at the airport arrivals with a name sign and welcome beer to quench your thirst. Private transfer to your accommodation will take around 25 minutes. Perfect time to learn how to get around the city, where to fill your belly with the best food and of course where to meet some friendly locals. Armed with this knowledge you will be ready to make your Stag Do a memorable one. We have different types of 3-star hotels in Ljubljana to suit all tastes, room requirements and budget. Our most popular venue is a 3-star hotel that sits in a fantastic location, less than 750 meters from Ljubljana center. It’s a nice clean hotel where we put 90% of our groups – excellent feedback so far. There is a lively restaurant which offers fresh, natural and delicious food with gourmet surprises on the ground floor, 24-hour reception , Free Internet access (WI-FI) in all rooms, hotel lobby, restaurant and bar. We accommodate our guests in twin rooms, single use available. First night out in foreign city is best done with a knowledgeable outgoing local guide who will “show you the ropes”, best locations, local customs, teach you what »lepa si« means and how to use it. 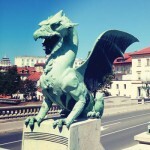 Get the best guided tour of Ljubljana with plenty of stopovers & welcome drinks. 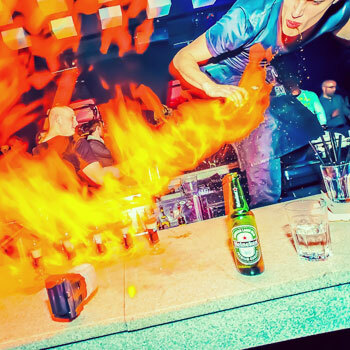 Finish your journey in one of the best clubs in Ljubljana known for good music & a hedonistic atmosphere and dance the night away till the sun comes up. Spend a day soaking up the atmosphere in the city or choose from a range of our daily activities. If you have any time left before your flight you can spend it in town, then get picked up by our transfer company who will take you to the airport. Licensed at Chamber of Economy of Slovenia - Tourism and Hospitality Chamber. Licence 1134 for Tour Organiser and 1135 for Tourist Agent.